On January 9, 2017, OSHA published its Final Rule to Protect Workers from Beryllium Exposure. The regulations it puts forward are designed to limit worker exposure to this highly toxic metal, which can pose serious health risks when inhaled in powdered form. Does your organization have the measures in place to prevent employees from breathing in amounts of beryllium in excess of the PEL and to protect them from overexposure? 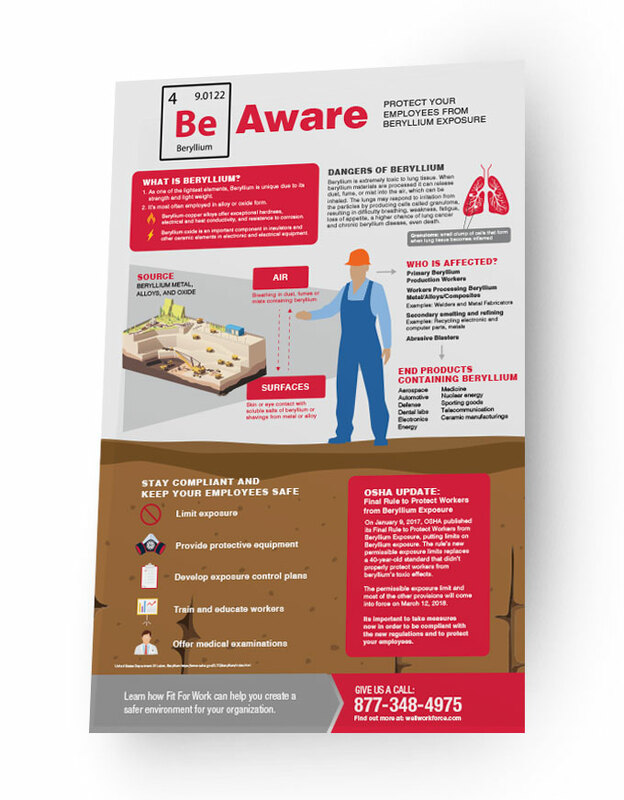 Download the infographic to learn more beryllium effects and key provisions you need to have in place to protect your employees.